The North Face offers state of the art materials and design so ensure that your carry is as efficient and comfortable as possible. Enjoy the Conness 52 for women, built to ferry multi-day loads without a hitch! 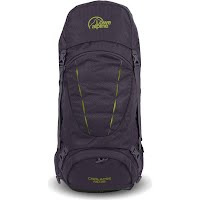 When you&apos;re carrying heavy loads over technical, uneven terrain, load controll and ventilation are two essential characteristics of backpack performance. 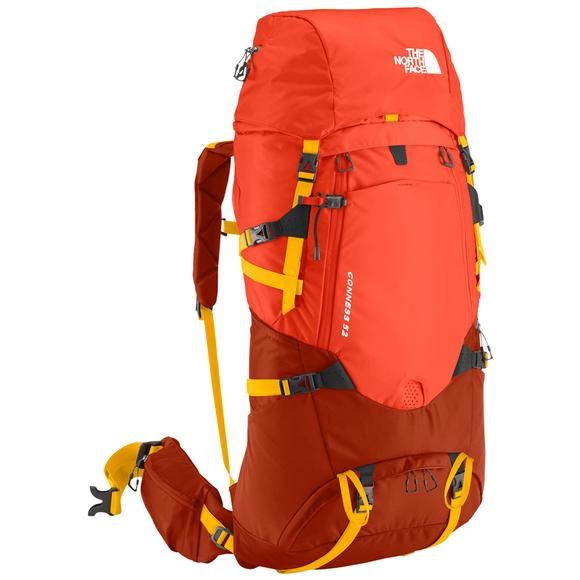 Traditional pack design either pulls the load close to the body for stability or pushes it away to increase airflow, forcing the user to choose between load control or ventilation. After identifying the key contact points between the backpack and the body, The North Face built the Opti-Fit X system without any unnecessary foam or material, creating intrinisic airflow channels without sacrificing load control. The articulating X Radial frame is embedded in the Opti-Fit X system, which gives the wearer incredible freedom o fmevement with strong but light aluminum stays. 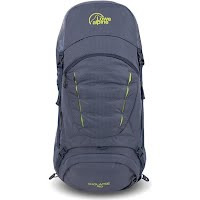 The North Face X Radial suspension system marks a truly revolutionary approach to pack support. Thoroughly tested and athlete endorsed, this suspension system is composed of an aluminum flex frame: an anatomically precise, structurally sound truss and a central X-hub with a freely articulating axis. X Radial conforms to hiker&apos;s natural, non-linear swaying motion. By mirroring the complex descending radii created by opposing hips and shoulders, X Radial eliminates the additional burden of kinetic friction that packs typically induce. 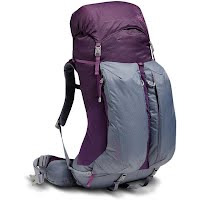 All of The North Face women&apos;s packs are subjected to extensive women specific fit tests. These fit tests ensure that hipbelts and shoulder harnesses anatomically conform to a woman&apos;s shape to provide the proper fit.